The white cane is an important aid for many blind and visually impaired people around the world to help them go about their daily lives. In addition, the tool shows others that impaired vision isn’t something that should hold people back. White Cane Safety Day on 15th October celebrates the achievements of the blind and people with low vision and recognizes the freedom they can have in life with the necessary adjustments. To mark the day, Samsung is reflecting on the tools it has developed in collaboration with people with reduced vision capabilities to improve the usability of its products. Small changes mean that more people can enjoy Samsung’s flagship products without missing out on functionality. Some of the most recent developments can be seen in Samsung’s smartphones. 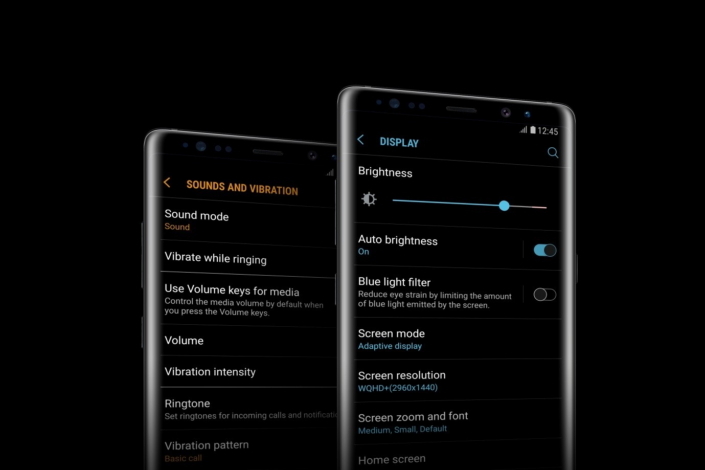 Samsung’s High Contrast theme, which can be downloaded from the Samsung Themes Store, was designed to help users with reduced vision capabilities read text more clearly. The company recently launched the second version of the High Contrast theme, called Sky Black, which has been well received by users. 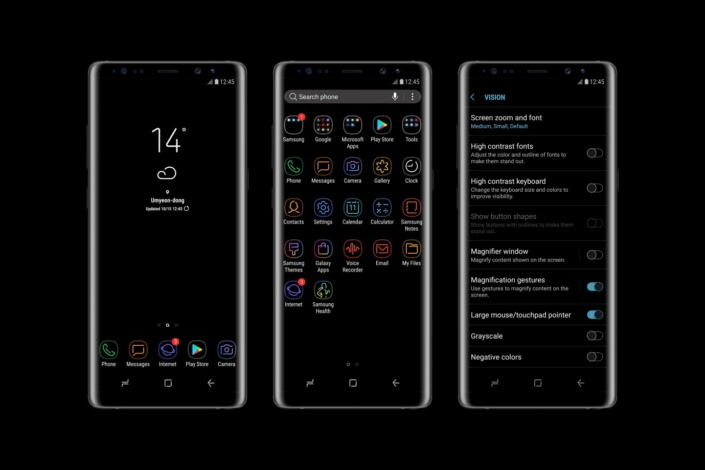 Samsung’s latest High Contrast theme, Sky Black. High Contrast themes are predominantly black to help readability without overwhelming users with bright light. Users with reduced vision capabilities tend to hold their device close to their eyes. A white background would be too bright for them to read. The use of a dark palette helps with overall usability. 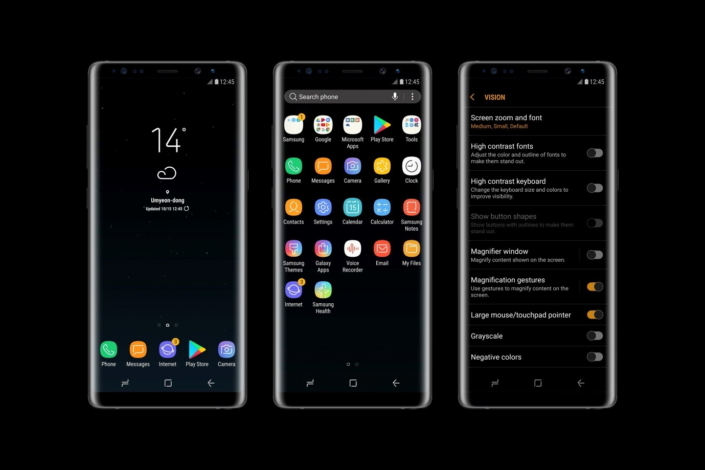 High Contrast functionality from Sky Black is applied to the entire range of the phone’s main screens such as the home screen, menu and functionality. The design of Sky Black has become so popular that all user types are downloading it for their smartphones – even those without restricted vision. Sky Black follows the success of the first High Contrast theme called Sunset Black. The original theme of this type was launched earlier this year alongside the Galaxy S8 and has been downloaded a million times. It prompted Samsung to listen to the feedback of its users with reduced vision capabilities and refine this accessibility feature even more. The original High Contrast theme, Sunset Black. Surfing the web is an activity that all smartphone users frequently do. It made sense then, for Samsung to introduce High Contrast to its Samsung Internet app. It serves an important need because previously, when users deployed the Invert Color option to make the text more readable, the images would become distorted. 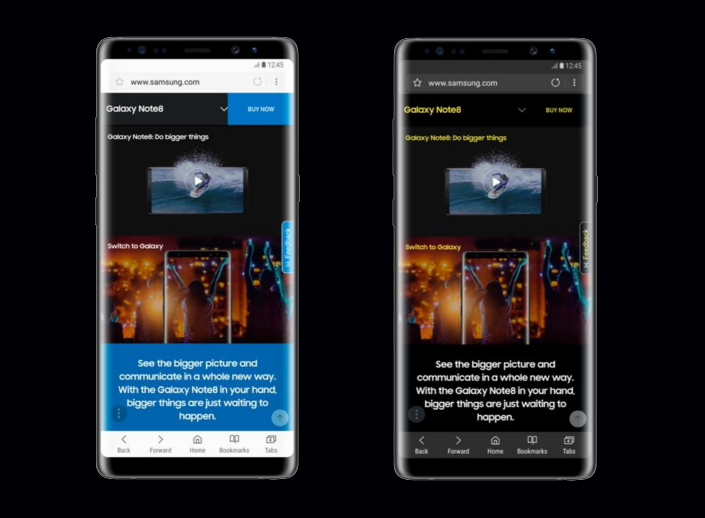 High Contrast mode on the Samsung Internet app makes everything easier to view – both text and images. This new functionality is receiving positive responses from users participating in the ongoing beta phase. The official launch of High Contrast mode will be within the coming weeks. 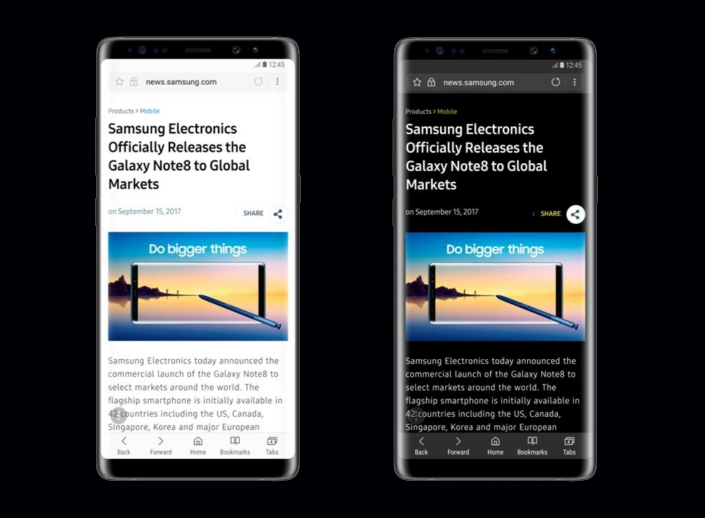 High Contrast mode (right) in the Samsung Internet app allows users to flip the contrast of the text in the original internet web pages (left), without distorting the images. Our smartphones are now such an integral part of everyday life. It’s vital that everyone can interact with them easily and without restriction. Samsung is breaking down the barriers and enabling the best experience for everyone.